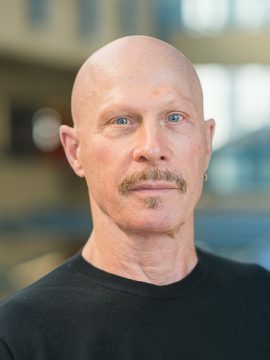 Dr. Lawrence Ward is a Professor in the Department of Psychology at the University of British Columbia and a member of the Djavad Mowafagian Centre for Brain Health. Dr. Ward was a founding member of, and has occupied several Executive positions in, the International Society for Psychophysics, including serving as its President in 2005-2006 and currently as permanent advisor to the Executive. He is also a member of the Board of Consulting Editors for the research journal Attention, Perception & Psychophysics. Dr. Ward studies behavioural, electrophysiological, and neuromagnetic indices of human perception and cognition. His lab investigates a wide variety of visual, auditory and higher cognitive processes using event related potentials, neural phase synchronization measures, psychophysical scaling, mathematical modelling, and the localization of electrical and magnetic activity underlying mental activity. Specifically, he is currently working on projects addressing issues in (i) the cognitive neuroscience of attention and consciousness with special emphasis on EEG and MEG studies of neuronal synchronization, (ii) biophysics and psychophysics of stochastic resonance, (iii) fundamental psychophysics, particularly psychophysical scaling, measurement theory, and signal detection theory, and (iv) nonlinear dynamical systems theory and its applications in cognitive neuroscience. For a list of Publications, please visit Dr. Ward's Psychophysics and Cognitive Neuroscience Laboratory website.